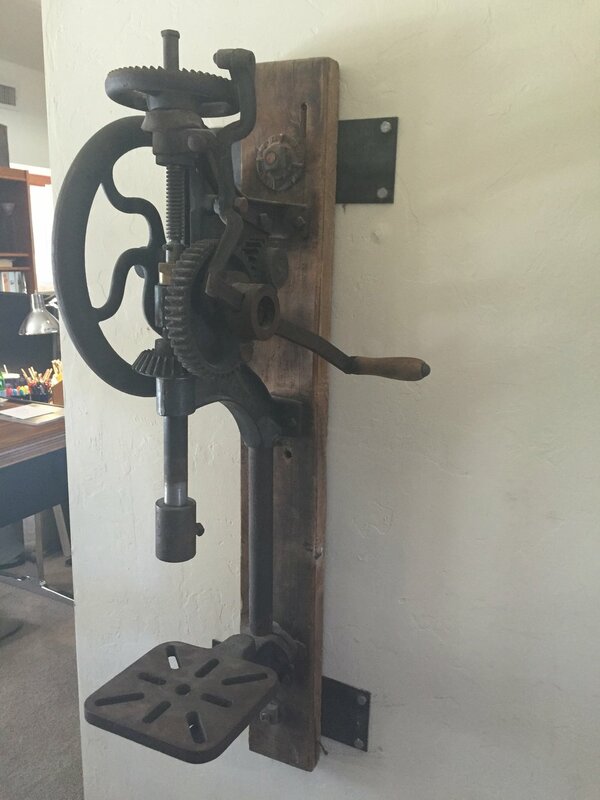 The drill press in the photograph at the top of this page was owned by John Casey Riggs and was mounted on the wall of his blacksmith shop. It is currently owned by John B Riggs. The blacksmith shop at John Casey Riggs Ranch House was built in the 1920s or 1930s of wood frame and wood siding with galvanized, corrugated metal roof and was dismantled by John B Riggs on January 24, 2015 to be reconstructed at a later time in a different location.